The pace of life is getting faster and faster, life seems to be more stressful to us. It’s not just a factor of the news reminding us we should be stressed, it’s also because everyone is stretched to the limit and businesses are running with less staff, all of whom wish to carry more duties than they have in the past. The smart businessmen always seek to take wise advantage of such a situation and this is why promotional stress balls have become a necessity to interpersonal marketing strategy. There are many versatile stress balls available, and it is quite significant not to be encouraged by any one of the more fanny or obscure designs available. Often it’s hard for marketers to put forward to an innovative idea which will carry their logo and express their branding objectives in a way which engages with people and capture the attention of those on the periphery. Stress balls are just a wonderful solution when this is the case. Say for instance you work in the education sector and are looking for a promotional item which will express to the public your interest in furthering recognition of your brand. It would a simple and safe choice to just decide a cheap promotional pen and throw these to the wind hoping some of them will find their way into the hands of people who might potentially sign up for one of your courses. 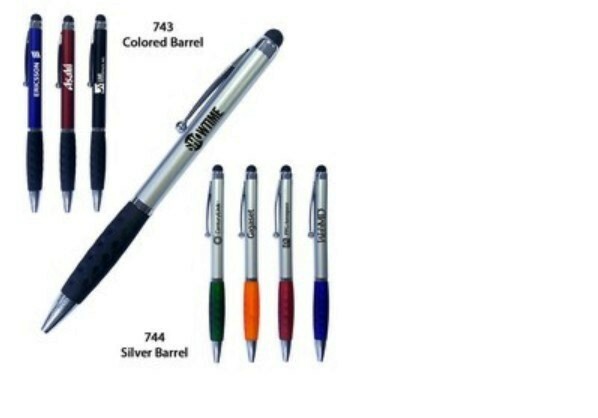 While there is nothing wrong with promotional pens, as a matter of fact, it is famous that they are highly useful ways in which to get low cost branding and message delivery right, the fact that they are just a pen and can get lost amongst the thousands of others stationery items out there is reason enough to look a little further afield, especially when you have a breakthrough idea which needs to stand out and get more attention. The range of stress balls available on this site covers most industries and the extensive collection of different styles ensures that virtually every industry you can think of has a special stress ball design available which will naturally engage with people in the industry and express the emotional. So, not only do stress balls stand for a stable and recognizable image, they are emotional engaging as the range of mascots and characters available ensure that your message will not only make logical and economic sense, it also concerns peoples’ emotions and shut another door behind likely consumers. In total, the range of stress toy styles, colors and materials available are all reasons for every marketing organization to look at sourcing stress balls as a potential way to engage and elite their clients and staffs. Look through the wide range of styles available, all high can carry a logo or a tailored message and consider the ways they can be used to engage with your audience and eventually establish business relationships and interest in your brand with more customers. As many news showed that from pro athletes to everyday gym rats, hydration is an important part of practices, games and workouts. Ensure big gulps with this 25 oz. stainless steel sports bottle, which features a wide mouth for easy use and a carabiner for attaching to a backpack. This special cheap promo sports bottle has it all: seven-day pill case to store vitamins or other medication, leak-proof lid, 4-oz. to 20-oz. measurement markings and shaker ball. Besides, this water bottle features an auto-sealing cap with a wide mouth. It’s double-wall stainless-steel vacuum-sealed, so beverages stay cold for 48 hours and hot for at least 12. Clients get classic styling with this 25 oz. Tritan sports bottle, which has a press-button, flip-open drinking lid with a spout and metal locking latch, however, it’s really one of the best promotional items as gifts, don’t you think so?